45 year old Taha Ismael Salih, married, with 5 children who cannot attend schools due to the difficult living circumstances. 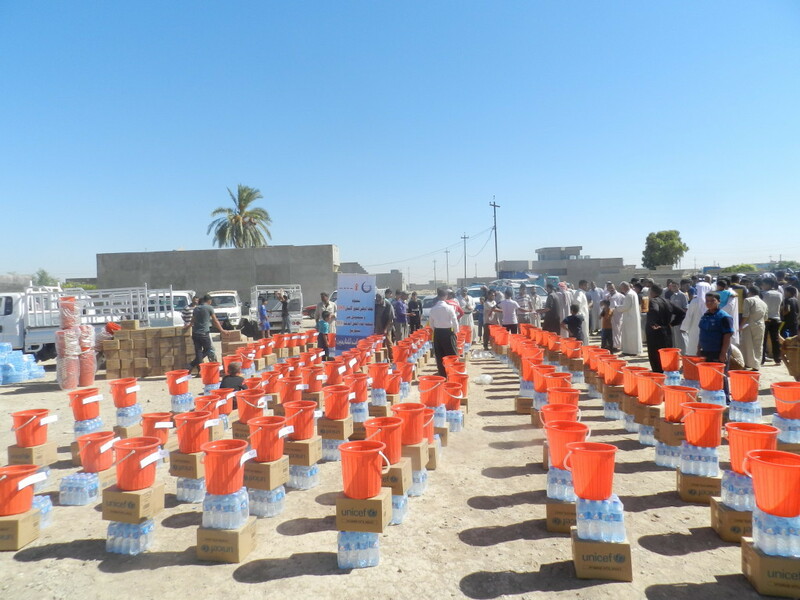 He was displaced form Al-Anbar governorate in the early of February 2014. Since the country is struggling with war, hard living circumstances, and also he does not have scientific certificate so he is now unemployed. NIHR provided the needed help for him and his family, he expressed his joy for receiving the relief due to his needs for these items, especially with the coming of Winter and cold weather in Iraq, he also added that the received needs were very necessary, and he said that he is unable to provide these needs for his family and he expects for this process to be constant. (his phone number 07810685578). 55 years old displaced Sarhan Khalaf Mehdi, married with five children, who don’t attend schools because he cannot afford their supplies for schools, he has been displaced from Alanbar governorate since April of this year, he was glad to receive the relief, and he add that the relief he received was a kind of a rescue for him and his family from the freezing winter, since he is living in not qualified building. And he hoped for this process to be constant. (0782278849). 40 years old Saad Talib Sabah, married with six children. Lives unqualified building in Mansiah\Kirkuk governorate. He expressed his gladness for receiving the relief, for they are in really need for any support for them. And he thanked NIHR and hoped for more in coming days.(07815760799). Hameed Abdul-humadi, who is 64 years old and educated, he is unemployed for his age. Displaced from Alanbar governorate. He is married with eight children including three of them are not attending schools, regarding the hard living circumstances, he was glad because he received the relief and he hoped that it would help them to overcome the hard, cold winter months.(07809911893). Success stories about disabled and the organizations’ role in giving the psychological support for them. Handicapped on wheelchair Mr. Demiral Nour Al-deen a tukman citizen who lives in Bagdad road \Kirkuk expressed that his right leg was cut off, and he was not taken care by any party in the former regime, after 2003 and the fall of the regime he started to receive financial aid plus relief aids from civil society organization, he also expressed that he didn’t realize and know his rights as a handicap, and how can he obtain these rights. And when he was invited to participate in a handicapped-related project, he wasn’t quite excited because he thought that it wouldn’t contribute in his low economic situation and the truth that he has nothing but his wheelchair. After he had participated in these workshops, he and other participant gained experts and self-confidence as an active member in society. 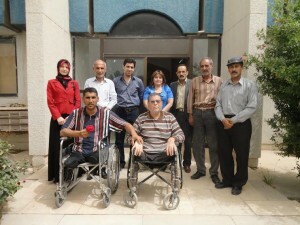 Also gained ability to defend his right as a handicap and through these workshops he was able to meet Iraqi parliament member Khalid Shwani in person after he used his gained skill from workshops, and he hoped that he can in addition to all handicaps that they can be more affective in the community. Ahmed Mathlom born on 1987, one of project beneficiaries, who is disabled, lives in Aroba\ Kirkuk and he is single because he lacks the financial qualifications, he praised the project for his ability to take part in the workshop which enabled him to know his international and national rights and how to claim these rights he added; “I’m very happy for participating in the workshops because it enabled him to build and enhance his personality and insistence on claiming my inactivated rights of the disabled. Those rights which are agreed upon in the international conventions and national laws, that was after he was provided with skills and spirit of leadership, all that made his( as he mentioned) an affective member in the community through meeting that the team held with the decision-makers from governmental and non-governmental institutes, and using indirect pressure on them by making conversations in order to activate some procedures that would raise the moral and economic level for the disabled. 34 years Kurdish citizen Saadia Jasim, lives in Kirkuk\huzairan married with two children, she is the household, although she is disabled she have to support her family because of her sick husband and unable to work. She mentioned that before she was invited to participate in the workshops, she had no idea about civil society organizations and how these organizations are helpful to the disabled, through holding educational workshops that will improve the scientific and many other levels. These workshops will contribute in increasing the opportunities to overcome challenges. She also added that the trainings that she took were very important for its contribution in identifying the right of the disabled and improving their potentials and activating their roles in the community, when they get neglected by the government. She praised the valuable information and the trainings that she gained from the workshops and how it made her an active member of the society and now she could claim her inactivated rights from the decision-maker in governmental and non-governmental institutes. Mrs. Amina Salim, 31 years old, the wife of named Ghanim thiab, and have 5 children, spoke that they have displaced on 26/3/2016 from their homes of a village called Mahana, located near Makhmour. Because the next village (kherberdan) shelled the village, and for this they walked toward security forces and Peshmerga until they arrived to Makhmour and stayed a week in Makhmour, then, they refuge in the camp. She added about one of their relatives in the village have been affected by mortar shelling and (3) of them have died. Mrs. Amina also talked about the non-food assistance they received from the National Institute for Human Rights, and that they are in need for such assistance continuously. In addition to the distribution of food items, because their financial condition is poor, and they do not have the capacity to meet the requirements of life, and stated that the distribution came after taking information on the number and ages of family members by field survey team. Mrs. Aisha Hmood, (55) years old, expressed her happiness for receiving non-food aid, and that she was in need for such items. added that she received a card of items receipt, after taking from her about family members and the place of displacement by field survey team of the Organization, and that the receipt card has facilitated the receipt of items in a timely manner without standing for a long time, waiting for her turn. She also mentioned that she had displaced from the village of (koidla) a year and 8 months ago, after the fall of the village to the hands of ISIS groups, and arresting young people of the village by ISIS including an officer (her husband’s relative) and another officer (Ali Ibrahim Mhedi) unaccounted for. In addition to taking the properties and some homes by ISIS, so they got out of the village by their car towards the Makhmour and stayed there (8) days prior to their coming into the camp. 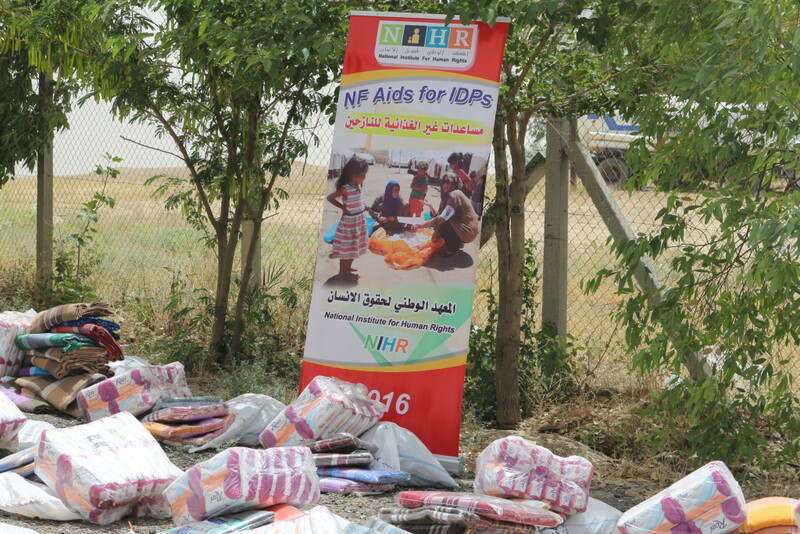 Mrs. Ibtihal Ali Mohamed, 23 years old, Muhammad Abdul Aziz’s wife, spoke of the assistance received from the National Institute for Human Rights that they were in need for such distributions, especially since they live in the camp and that they have children who need clothes continuously. She mentioned that she received the receipt card a day before the distribution to ensure the ease of receiving aid, also mentioned that they displaced from the village of (kherberdan) after its liberation by the security forces and the Peshmerga. Mrs. Asmaa Ghazi, (24) years old, displaced from the village of (Kabiba) of Makhmour District almost a year ago, and displaced to Al-Khalidiya village and stayed in until they came into the camp two months ago. They had come out of their village because of the control of ISIS on the village. 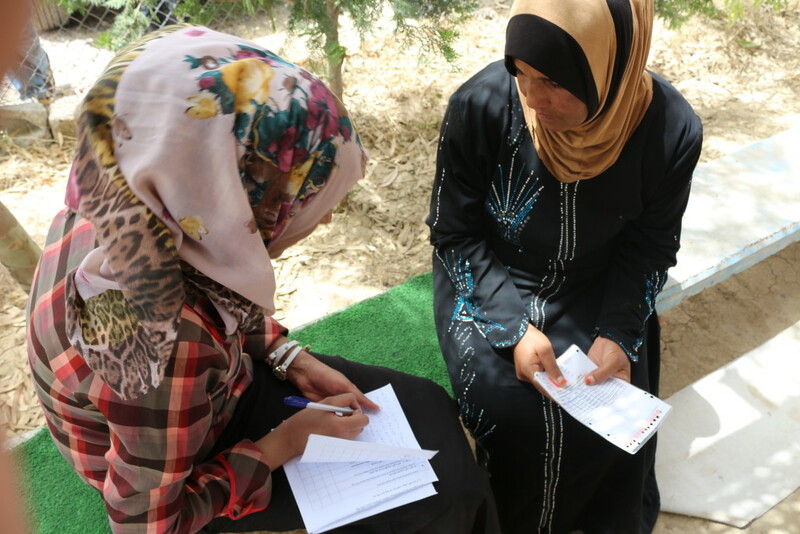 Mrs. Asmaa also mentioned that she came to receive non-food assistance after a team came from the Organization to the camp and conducted the field survey for families located in and learned the most important needs and knew the numbers of each family. They have also received card includes the name of the head of family and his serial for the ease of distribution, and to ensure they receive their full allocated share.